Wednesday, May 27 • 7 pm. Siskiyou Music Project and the Ashland High School Music Department present the Kipp Crawford Memorial Jazz Celebration on Wednesday May 27 at 7 p.m. at the Mountain Avenue Performing Arts Center at Ashland High. 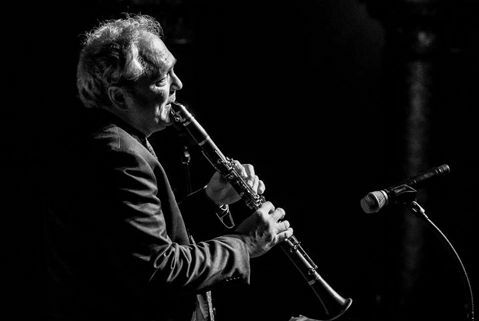 The evening will feature New York based saxophonist and clarinet master, Ken Peplowski. One of the finest clarinet players in the world and Benny Goodmans protege, Ken will be joined by local favorites The Ed Dunsavage Trio with Joe Cohoon & Chicken Hirsh and will also perform with the Southern Oregon All Star High School Jazz Band, featuring some of the top young musicians in the Rogue Valley. This event is made possible through the Kipp Crawford Memorial Endowment Fund. Kipp was a 1996 graduate of Ashland High School and a versatile musician who was tragically killed at the age of 31 in Portland OR. Proceeds from his performance will help fund the Ashland High School Music program and the Siskiyou Music Project’s Artists-In-Schools program which brings world class performing artists and educators into schools in southern Oregon. For more information and to donate to the fund, visit http://www.ashlandschoolsfoundation.org/Page.asp?NavID=82. 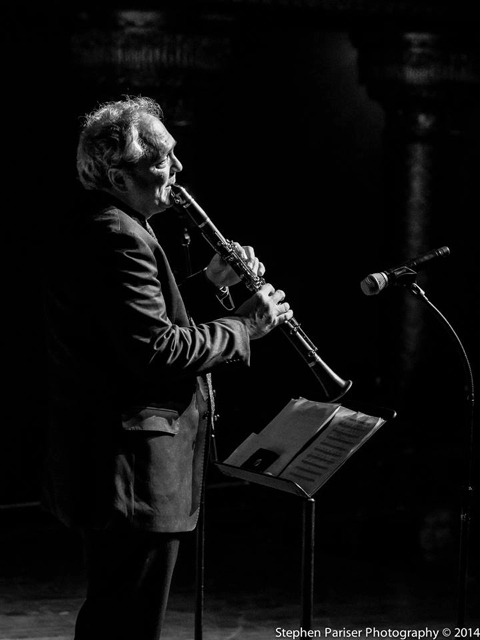 Ken Peplowski has recorded approximately 50 CDs as a soloist, and close to 400 as a sideman – some of the artists he’s performed/recorded with include Charlie Byrd, Mel Torme, Rosemary Clooney, Erich Kunzel and the Cincinnati Pops, Hank Jones, Peggy Lee, Bill Charlap, Woody Allen, Benny Goodman, and Madonna. He travels at least half of every year, playing clubs, concert halls, colleges, and pops concerts. He has headlined the Hollywood Bowl, Carnegie Hall, the Blue Note, and Dizzy’s Club amongst many other venues. Ken’s last two CDs on the Capri label, “Noir Blue” and “In Search Of” were released to great critical acclaim and airplay. He has recorded music as diverse as Italian folk songs, avant-garde jazz, pop, and classical music (he recorded the Darius Milhaud Clarinet Concerto with an orchestra in Sofia, Bulgaria). His latest CD is “Maybe September”(Capri Records), recorded with Ted Rosenthal, Martin Wind and Matt Wilson direct to two track and live in the studio. Ken is the current musical director of the Oregon Festival Of American Music (OFAM), and is a longtime performer/consultant to The Jazz Cruise, where he was elected into the Jazz Cruise Hall Of Fame in 2013. He resides in New York City with his wife, dog, and whatever children happen to be passing through. “Mr. Peplowski sounds the way (Benny) Goodman might if he had kept evolving, kept on listening to new music, kept refining his sound, polishing his craft, and expanding his musical purview into the 21st century.” – Will Friedwald in The Wall Street Journal, December 2012.